The Torsen is the ultimate performance differential. Combine a well balanced suspension package on your Mustang with a Torsen for incredible traction! The Torsen's unique torque-sensing ability keeps engine power going to the ground during changing traction conditions. The Torsen functions as an open differential as long as the amount of torque transmitted to each rear wheel remains equal. When one tire begins to lose traction, the Torsen instantly senses the change in torque being applied to the ground. The excess torque that cannot be delivered to the ground by the tire that is beginning to lose traction is delivered to the opposite tire, which has better traction and can take more torque. The Torque Bias Ratio (TBR) is the ratio indicating how much more torque the Torsen can send to the tire with more available traction, than is used by the tire with less traction. This ratio represents the "locking effect" of the differential. The 4:1 TBR of the Torsen T-2R means that this differential is capable of delivering up to four times as much torque to the tire with better traction than is delivered to the tire with the least available traction. By comparison, the Torsen T-2R can deliver about 2.5 times as much torque to both rear tires, collectively, as an open differential can, given the same conditions. During braking there is little or no torque being conveyed to the differential, and so there is little or no torque difference between the two rear tires. Therefore, the Torsen differential will not support any appreciable torque "wind-up" between the two rear tires during braking. Because of this, the Torsen differential does not interfere with the functioning of anti-lock brake systems. The clutch plates of the Mustang's stock Traction-Lock differential wear out, requiring periodic replacement to maintain its functionality. This wear causes axle endplay on a solid axle car, which in turn increases brake pad kickback. Axle endplay does not increase over time with a Torsen differential because it does not have clutch plates to wear out. 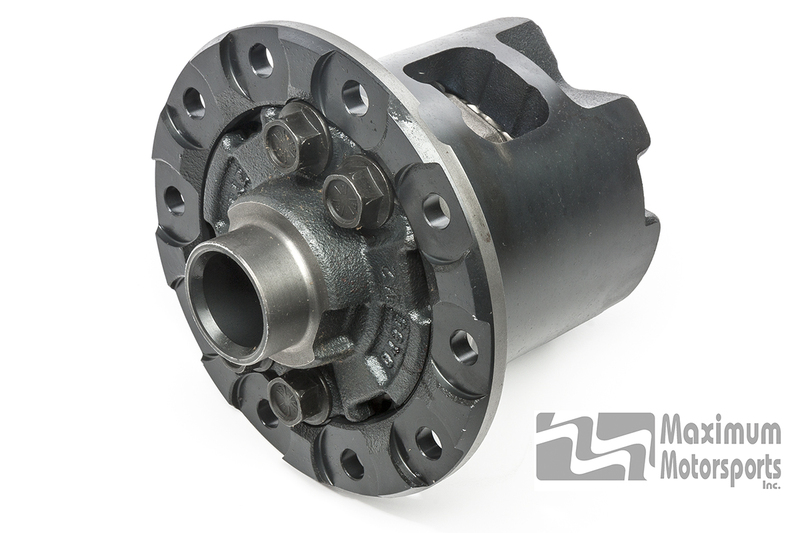 This makes the Torsen differential ideal for use with fixed-mount brake calipers. While it is ideal for street use, autocrossing, and road racing, the Torsen differential is not recommended for drag strip use. The Torsen differentials fit Mustang 8.8" rear-ends, both solid axle and IRS, and are available in 28 spline and 31 spline versions.